In a remarkable series of events, the mystery lady in Neil Thorp’s image in Snapshot 140 has been identified. It is Marie Henry, the wife of Ernest Henry, the distinguished engineer and designer of the twin-overhead-camshaft engine that ensured the success of these 3-litre Ballot racing cars right from their introduction in 1921. How do we know? 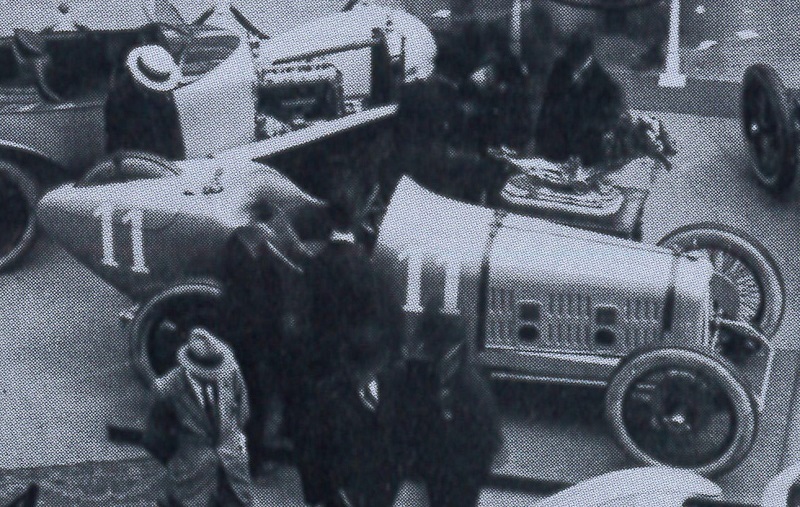 Firstly, we were contacted by Alexander Schaufler, the current owner of the 3-litre 8-cylinder Ballot. He was delighted to see the picture of his car, with our new information on its appearance on this day in 1921 at Le Mans – and he sent us some pictures of the car’s history, including an image from the Paris Salon of 1921 (that we show later). But Alexander’s next email told us much more. He had sent Neil’s picture to his friend Rudy Henry, the grandson of Ernest Henry. 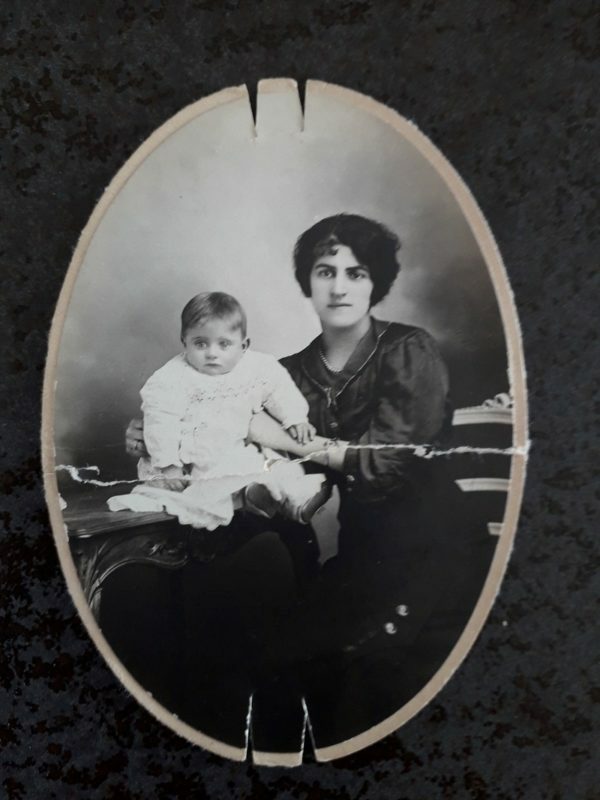 Rudy immediately recognised his grandmother Marie, and sent us the wonderful family photograph, taken some years before our Snapshot, that we have reproduced at the head of this article. 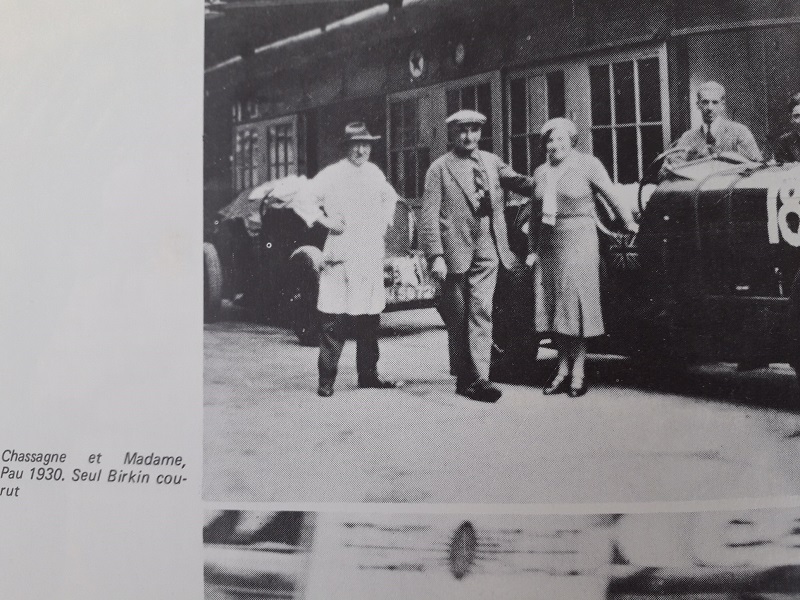 Lee Hitchin had also contacted us to suggest that the mystery lady might be the wife of Jean Chassagne, who appears alongside the car. But Alexander sent us a picture (see below) of Chassagne with his wife Emma at Pau in 1930. She was half English and half French; they were married from 1921 until his death in 1947. Jean Chassagne with his wife Emma at Pau in 1930. They are standing by Birkin’s stripped Blower Bentley, No. 18, in which Birkin achieved second place against Grand Prix cars in a famous drive. Finally, Rudy Henry contacted us with even more information: as well as confirming the mystery lady as his grandmother, he identified the gentleman on the left of Snapshot 140, behind the advertising hoarding and wearing the black hat, as his grandfather – Ernest Henry himself. And just to complete the remarkable run of new information, we arrive at our final picture below. 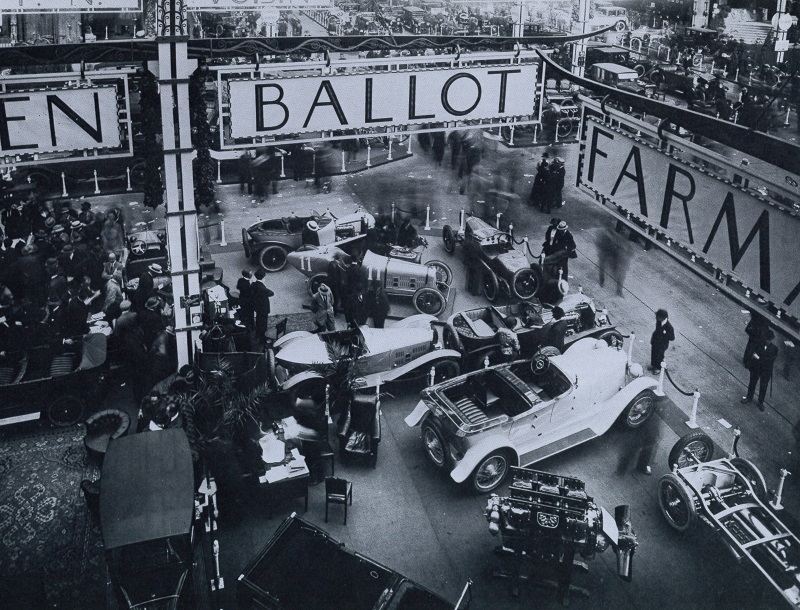 This image sent to us by Alexander Schaufler is from the Ballot stand at the Paris Salon in 1921. As Alexander tells us, it shows M. Ballot with the French President in front of the Coppa Florio trophy and the winning Ballot from the 1921 event in September of that year. We have added an enlargement, from which the trophy can just be seen. We are most grateful to all the contributors to this fascinating story: to Neil Thorp for the original Snapshot, to Alexander Schaufler for his new information, his images and his permission to reproduce them here, to Lee Hitchin for his information on Madame Chassagne, and finally to Rudy Henry for confirming the identity of our mystery lady.